Detroit-based StockX, the world’s first stock market of things, today announced its expansion to the European market. The company’s platform has conducted international business in 200 countries for the past two years. The expansion includes a new West London authentication center and enhancements to the platform that will allow StockX to extend its reach and provide a transparent, authentic, anonymous marketplace with increasing liquidity. Improvements include the ability to conduct business in multiple currencies, clarify complex tax and duty assessments, and reduce distance an item needs to travel to become authenticated. “As a unique online company that has launched an original concept, we have always been accessible on a global scale, but today’s announcements show our strong commitment to deliver the same kind of productive and satisfying experience to our European buyers and sellers as their U.S. counterparts,” says Josh Luber, CEO and co-founder of StockX. The new facility will authenticate products bought and sold in Europe and serve as a European office and shipping hub for the 30 European countries with which StockX conducts business. Olivier Van Calster will serve as general manager of the European facility, and Derek Morrison will be director of Europe. The team will include authenticators and operations associates. With the announcement, StockX is hosting a European version of its Detroit-based StockX Day in London. 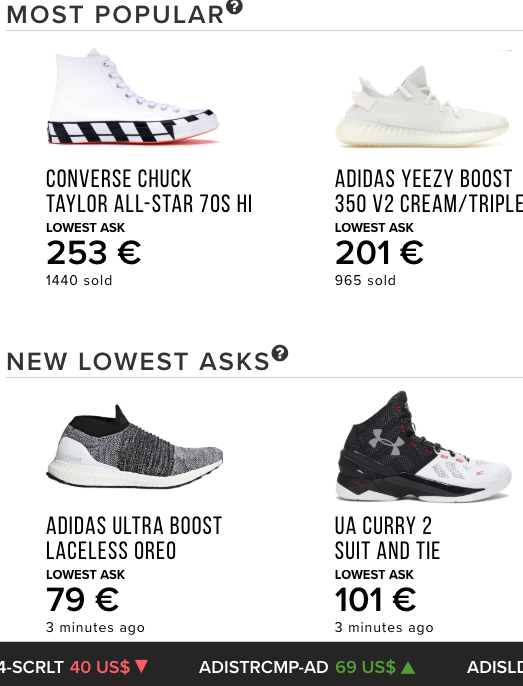 The event will bring together buyers and sellers from across the European Union for a day designed to provide transparency and visibility to the inner workings of the StockX platform, StockX’s history, and the expansion’s expected impact. StockX was founded in 2016 by Luber; Greg Schwartz, StockX COO; and Dan Gilbert, founder and chairman of Quicken Loans Inc. and chairman of the Cleveland Cavaliers. It combines benefits of a stock market and an online consumer secondary market. The company is approaching an annual gross merchandise value run rate of $1 billion, moving more than a quarter-million products monthly for buyers and sellers on its platform. Last month, StockX announced a Series B funding round co-led by Silicon Valley’s GV (formerly Google Ventures) and Battery Ventures. The $44-million investment allowed StockX to expand its reach internationally. Previous articleSkyway Precision Inc. in Plymouth Township Acquires South Carolina’s Bellwright Manufacturing Inc.